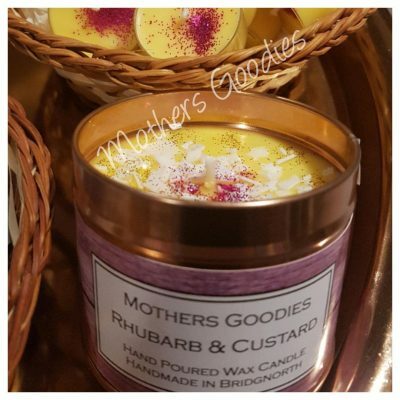 All Mothers Goodies our candles are handcrafted in Bridgnorth & made using 100% soy wax & natural wicks. We double scent all our candles & T lights to ensure they are super smelly. No one likes a scented candle that doesn’t smell after all. We are very conscious of our environment at Mothers Goodies, We respect our planet & all things natural, for that reason we love recycling. Our tissue we package our candles in is recycled along with our bags, boxes & business cards. 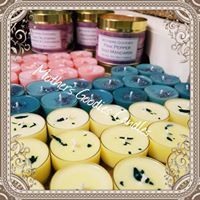 Mothers Goodies Candles burn clean with no wastage & deposit very small amounts of soot, if any, from the wicks. Our fragrances are all eco-friendly & we use only biodegradable glitters to decorate our products. Unfortunately, we only sell our glass candles in store. They are not available for online ordering due to high levels of breakages during postage.